MEMs based barometric pressure sensors are quite common these days. 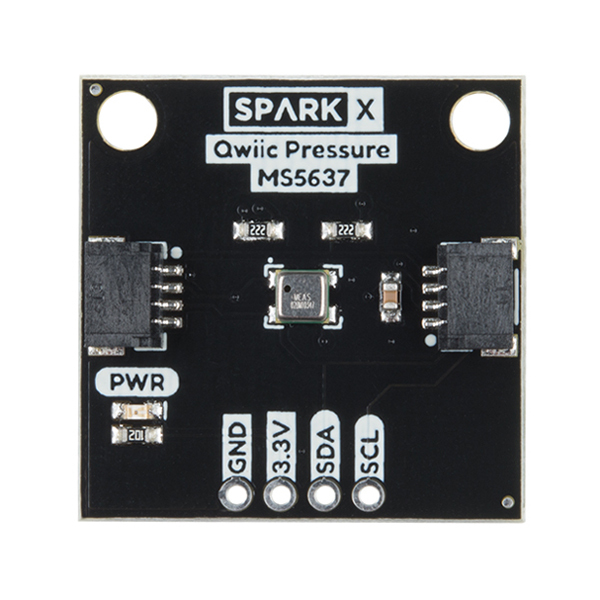 The Qwiic Pressure Sensor with the MS5637 shines by being the most sensitive barometric pressure sensor we have come across. It is capable of detecting the difference in 13cm of air! And the MS5637 is low cost and easy to use to boot. 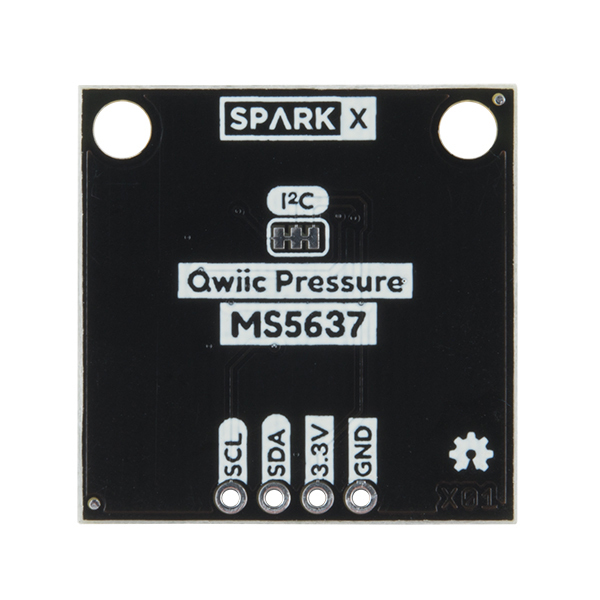 The Qwiic Pressure Sensor for the MS5637 is a very sensitive, fully calibrated, low power, easy to use barometric pressure sensor. 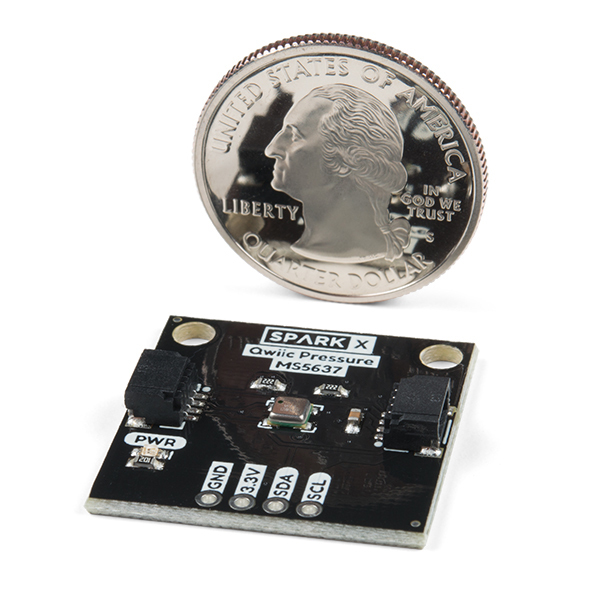 It’s perfect for home weather stations, detecting changes in altitude, and pneumatic based switches or actuators. The original manufacturer, TE, has written a great Arduino library for the device. 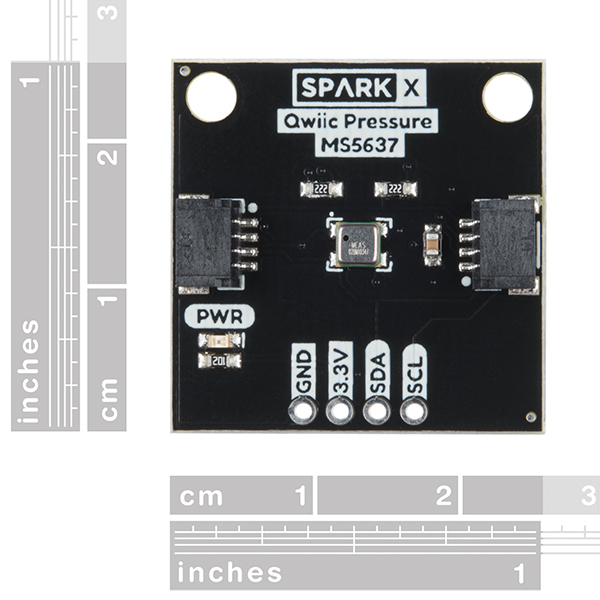 We’ve added a heap of examples and new functions to make the sensor even easier to use. 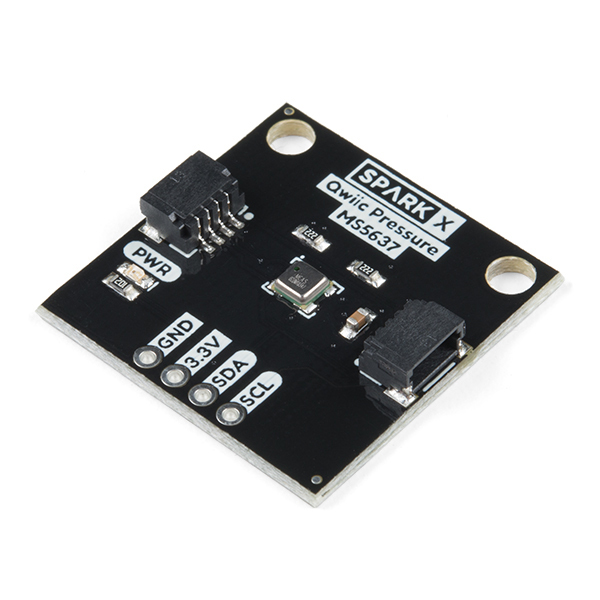 Search the Arduino Library manager for ‘SparkFun MS5637’ to get the latest library features.